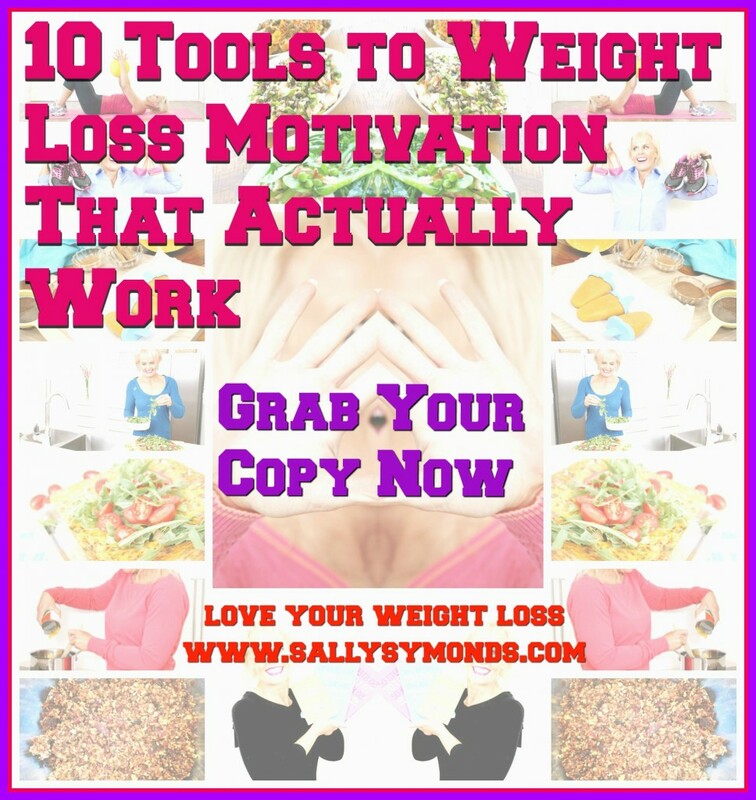 One of the most beneficial things love your weight loss do is is help you transform into a successful healthy exerciser. So what exactly is successful healthy exercise? Successful healthy exercise is about transforming yourself from an exercise loather to an exercise lover. Successful healthy exercise means you don’t need to force yourself to exercise, because you actually want to do it. It means you don’t need to set aside time for it each week, because it’s become such a part of your daily or weekly routine that you do it without thinking. Successful healthy exercise means that even when you’re busy, stressed, tired or any of the negative things that you still occasionally experience from day-to-day and week to week, you still find time to get active. Not out of obligation, but because you know it will make you feel better. Successful healthy exercise means that it’s become such a part of your life that if you’re out of action for a while or for whatever reason, such as injury or illness, you’ll find a way to work around it, in a sensible way. So if you’ve injured your foot, you’ll be able to work on your upper body instead until you’re recovered. Successful healthy exercise means that you’ll have a wide variety of exercises to choose from, depending on your mood, your free time and your fitness aims. It means that you’ll naturally think of ways to make physical activity part of your life, no matter what the circumstances – when you’re on holidays, whether it’s in the swimming pool, swimming in the ocean, or working laps in the pool with a cocktail in hand, at the office or waiting a line at the bank. Successful healthy exercise means that you’ll enjoy the experience of physical activity, without becoming consumed by it or obsessed with it. You won’t get hung up on sets and reps and how much weight you can lift and you won’t feel intimidated when you can’t do something. Instead, you’ll relish discovering new things that you can’t imagine yet, because they can present a challenge to your mind and body. You’ll be rewarded by mastering exercises that once you couldn’t do and realising just how far you’ve come. Successful healthy exercise means you’ll have a bank of fond memories to look back on and laugh about, times when you couldn’t even do a single squat or lunge without feeling like you’re about to fall over, times when you did fall over, times when you broke equipment or said something stupid or asked a question that had a really obvious answer. Successful healthy exercise means you’ll hardly feel physical pain anymore when you’re active, because the emotional and psychological pleasure it gives you more than adds up to the effort involved. It means reaching a stage where instead of saying “your eyes are bigger than your stomach” this becomes “your eyes are bigger than your muscles”. You start to challenge yourself and take on even bigger and better things. Sound fantastic? That’s because it is. It feels great. Like we’ve spoken about previously, the reason most exercise programs don’t work and probably one of the reasons you haven’t had lasting success up until this point, is because most exercise plans are aimed far too high and require too much commitment for most of us to follow. 100% effort over three weeks = 300% results. 80% effort over five weeks, 400% results. 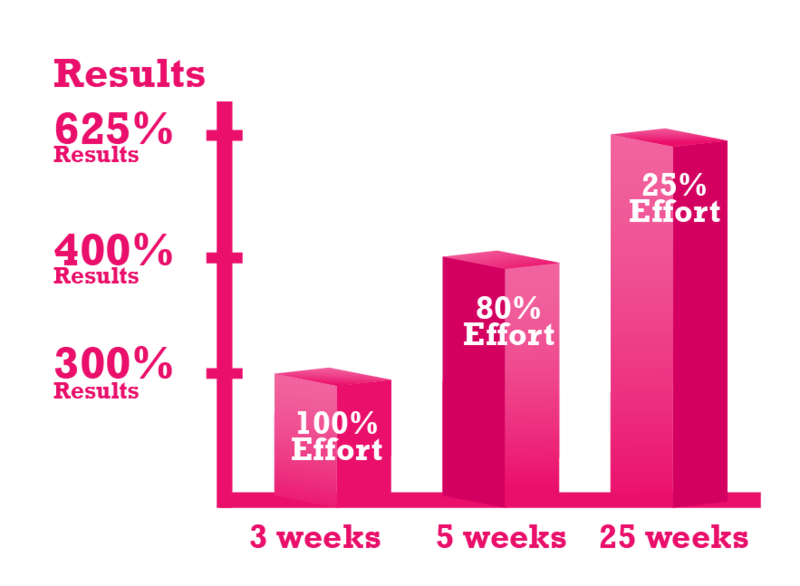 25% effort over 25 weeks = 625% results. It’s better to start off with something easier, but actually continue on, than to go all out and have to quit. Especially if you’re beginning to exercise again. So if you have never exercised, or haven’t exercised for a while, it will probably take a bit of effort, physically and mentally… until it becomes something that you do every day without thinking about. If you visualise a ladder, most people begin at the bottom stage of helplessness. 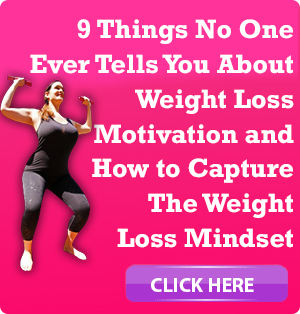 This is when you think about exercise and weight loss and you just feel helpless. You don’t know what to do or where to start. Then you climb the ladder to awareness. Then to experimentation, enjoyment, empowerment, improvement, accomplishment. 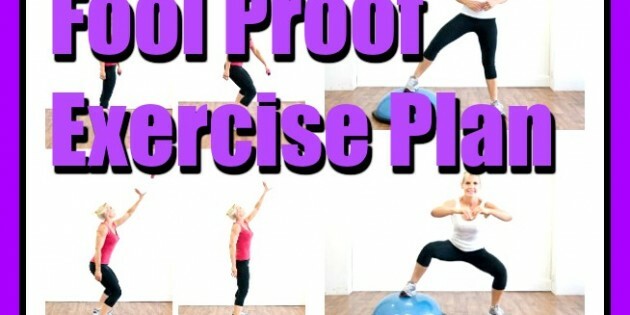 This is when it exercise becomes effortless. Something you do every day without thinking about it. Something you love. A regular commitment. 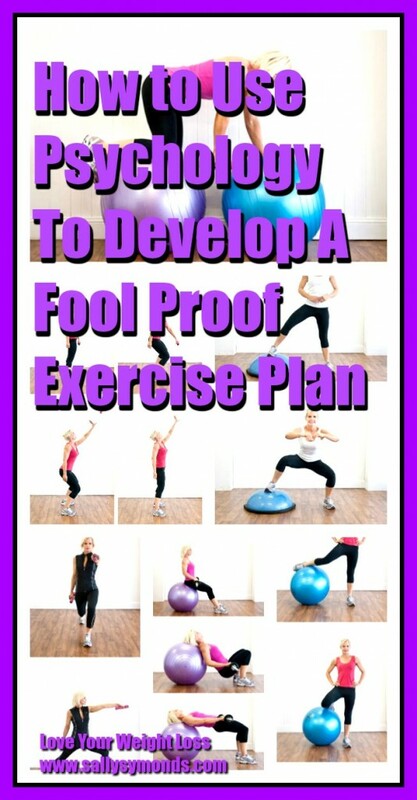 … yet most exercise plans demand it from you on day one. Can you see why most fail… and why having a better understanding of how this really works dramatically increases your success rate. 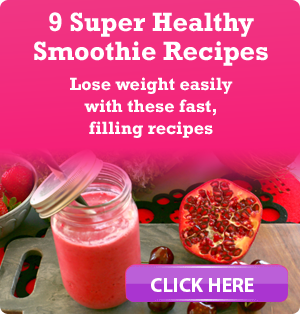 The vast majority of people who lose weight and keep it off become regular exercisers. But they didn’t start off that way. They started off just being a little bit more active at home, dancing around the house, cleaning, gardening, all those kinds of things. That’s a form of exercise called NEAT exercise – Non-exercise activity thermogenesis. NEAT exercise. Fancy name, but all it means is to just be more active to spend more calories in everyday life. That’s where most of my individual private clients start, just by being more active. Carrying the groceries, tidying up the house, doing things like that, just being more active to start with. Are you sitting down right now? Get up. The average 50-kilo woman burns an extra 120 calories per hour standing. 120 calories an hour. That’s a lot. If they stood for four hours a day, 365 days a year, they would burn an extra 1,72,800 calories. That’s 23 kilograms of fat. Now a 100-kilo woman can burn extra 200 calories per day just by standing. So if they stood for four hours a day, 365 days, so for a whole year, that’s an extra 2,88,800 extra calories, 38 kilograms of fat. So if you’re 100 kilos and you have 38 kilograms of fat and you want to take a year, just stand for an extra four hours every day and it will happen. Think about it. These days, we’re in the habit of standing up to take a break, whereas before we would sit down to take a break. I hope you stood up in the middle of me saying this as well. Think about where and when you can stand more. Now for me, when I lost all my weight, I didn’t start out doing any fancy exercises. I initially just started walking. I walked off the first 17 kilos!! 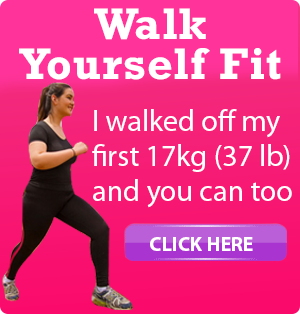 So while you learn various exercise techniques in love your weight loss and new things each week, if all you do at first is walk, that’s fine. Later on, it’s great idea to do some strength training, great way to keep going! That’s the reason I don’t have any loose skin, despite losing over 50% of my original body weight. That’s the best way to keep the weight off. But at the start, if you have a lot of weight to loose and all you want to do is walk or something similar, that’s fine. Just start and keep going. Visit Sally Symonds's profile on Pinterest. *The testimonials on this website are from satisfied clients. Specific results can not be guaranteed and results may vary from person to person. Always remember to consult your healthcare professional before beginning any diet or fitness regime.